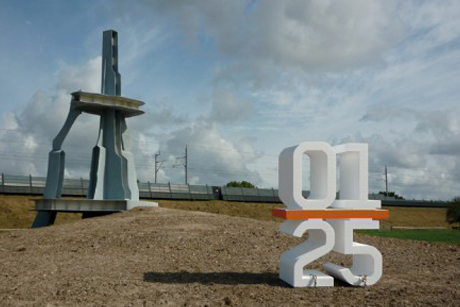 After setting up a studio in 2006, Dutch designers and friends, Maarten Dullemeijer and Rob Stolte, have made a name for themselves with a slew of experimental projects and fresh type-driven work. 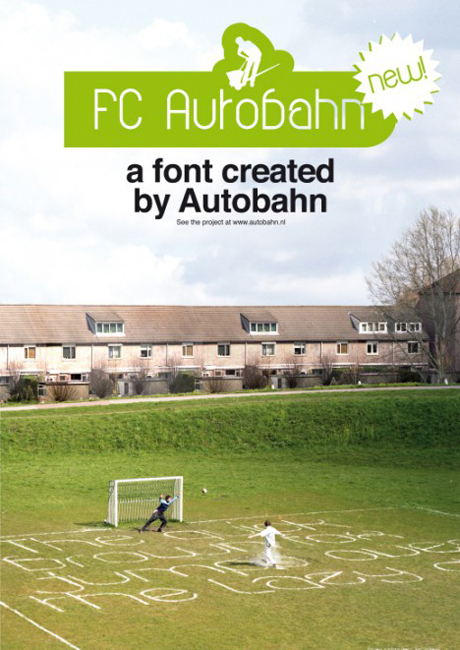 Known as Autobahn, they’ve created typefaces from stone, duct tape, grass, hairgel and toothpaste and show no signs of stopping there. Ahead of their journey to Melbourne to speak at agIdeas International Design Forum next month, we asked them a few questions about their studio, studio name (stolen from The Big Lebowski) and studio culture in their Utrecht-based space. Autobahn was formed by the two of you in 2006, can you tell us why you decided to set up a studio together? During our time at the Utrecht School of the Arts (Hogeschool voor de Kunsten Utrecht), we were classmates. Because the groups consisted of a lot of students, we often did not get much time with the teacher to show our work. So we ended up teaching ourselves. We discussed our work and learned from the critiques we gave to each other. This went on throughout our time at the academy. Finally we decided we should take on assignments together. To start a studio together was the next logical step! Have you taken any other designers on board or is it still just the two of you? Do you have any plans to expand? For now, it‚ is just the two of us and an intern. There are no current plans to expand our team. We love to work in a network-based environment. For us this means putting together a different team for every assignment – employing outside expertise when needed. This keeps us flexible. And every assignment has a unique dynamic, and therefore needs a unique approach. You really made a name for yourselves at Pecha Kucha in 2008. Can you tell us a little bit about what you presented there and the reaction thereafter? We were asked to give a presentation at Pecha Kucha. But we did not want to give a portfolio presentation, we wanted to create something new. So we thought about what kinds of things we could use to create letters. We bought all kinds of things in tubes and started writing. The most interesting products were toothpaste, ketchup and hair gel. We used the Helvetica typeface as a base, because it is a very neutral typeface… therefore the characteristics of the products were clearly visible. 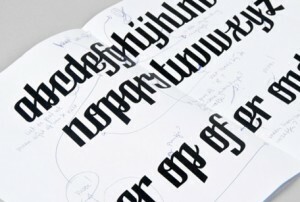 We created three typefaces using this process: Heldentica, Tomatica and Gelvetica. After the presentation, things went crazy. We had like 60,000 hits on our website within a few days. It turns out it was the 50th anniversary of the Helvetica typeface and everybody assumed we did it to honour Helvetica. That wasn’t actually the case, but it was a convenient coincidence (you can read more about the FreshFonts presentation here). You’ve made typefaces from stone, duct tape and grass‚ what is it that you love about typography? Typography for us is a way of expressing ourselves. We see type as a form of (legible) illustration. We try to solve communication issues within the concepts we conceive. 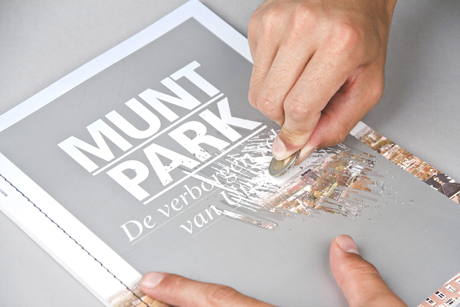 The typography expands on the concept in an experimental form. Therefore we use type as our playground. You work across a wide range of different mediums and projects, can you tell us about a recent project which you particularly enjoyed working on? 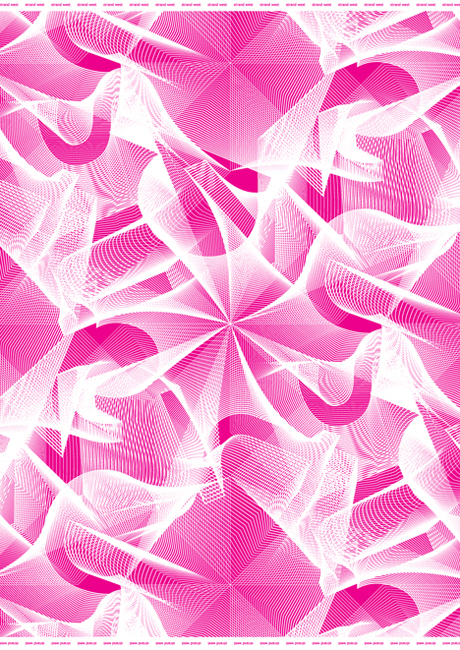 We are now finishing the artwork for In-Fashion, a fashion event in Utrecht. Together with our client we decided to reflect on today’s fashion scene. We used acrylic mirrors as base materials. We’ve lasercut text, made tiny books and created wayfinding with this material. It’s always interesting to work with new materials. We always attempt to search for the boundaries within a material, which allows us to push them – and use a material in an inspirational, new manner. Can you tell us about your studio name Autobahn? During our art academy years, we tried to form a band: a drummer, two guitar players, a singer and keyboard player. During our first rehearsal, we immediately realised that we most probably were never going to be harmonic, so we might as well quit. The only thing left to do was open a few beers and watch a movie. The movie was The Big Lebowski and in it, a band called Autobahn was mentioned – but the band didn’t perform. Someone shouted: “They’re like us! They are a band but they do not play!” We adopted the name Autobahn and we soon became known by that name at the academy. Which was easy, because after our graduation we already had the name for our studio. Please tell us about you studio space at Draaiweg 51? Do you have any particular approaches to how the studio is run? Not really. It’s just the two of us, so we divide the tasks at hand. We do discuss a lot, some might say argue, but that’s to keep each other sharp and come up with a satisfying result. It sometimes pays off to take an unpopular stand, even with our clients. No work leaves the studio until both of us are satisfied with the result. What are you most looking forward to about visiting Melbourne? Foremost to a well-deserved vacation! No, seriously we are looking forward to meeting people and getting new insights into the design mentality of Australia. So if you are in Melbourne around that time, send us a email and let’s meet for a cup of coffee! 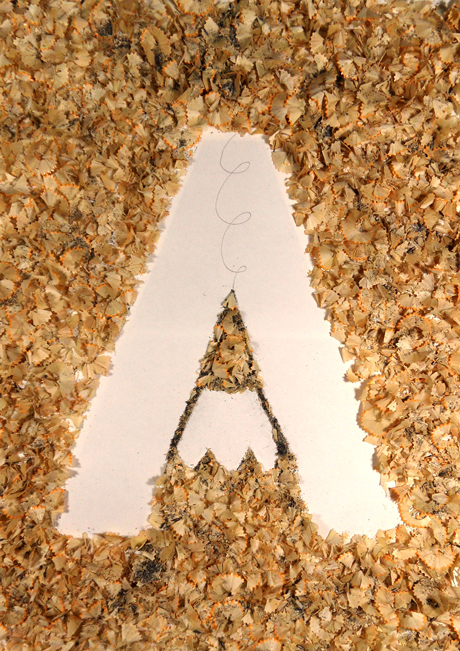 Autobahn will be speaking between 23 – 25 May at agIdeas International Design Forum in Melbourne. Get your ticket here now or you can WIN one here.